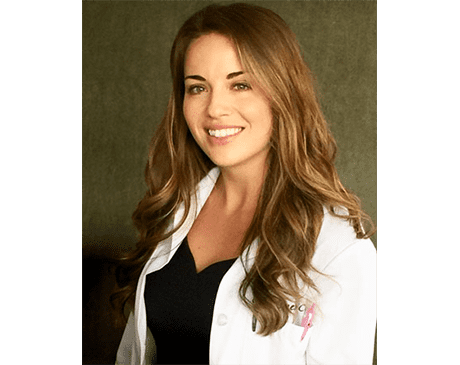 With a passion for cosmetic and medical dermatology, Chelsy Kimes, PA-C is an asset to the team at Mohs Surgery & Dermatology Center, in Elgin, Illinois. Chelsy began her education at Coastal Carolina University in Conway, South Carolina, where she played Division I Women’s Volleyball while completing her undergraduate degree. In 2013, she earned her “Master of Science” degree in physician assistant studies from Midwestern University in Downers Grove, Illinois. A board-certified Physician Assistant, Chelsy has been in private dermatology practice for five years. Since 2015, she has worked closely with Dr. Bangash, advancing her knowledge and skills in both medical and cosmetic dermatology. She is a member of the American Academy of Physician Assistants, the Society of Dermatology Physician Assistants, and the Illinois Society of Dermatology Physician Assistants. Over the past five years, Chelsy has gained experience in and a passion for the treatment of many medical skin conditions including psoriasis, acne, rosacea, and eczema. She is proficient in performing full-body skin cancer screenings and subsequent surgical treatment. With years of training in cosmetic procedures, Chelsy uses injectable fillers, toxins, lasers, microneedling, and custom skincare regimens to help her patients maintain and restore their natural beauty. In her free time, Chelsy spends time with her husband and loved ones, traveling, and playing golf. She loves the Chicago area and especially enjoys exploring the city and experiencing its numerous restaurants.